When the annual dinner of the Scottish Wine and Spirit Merchants’ Benevolent Institution is held in the Albany Hotel, Glasgow, next week, the occasion will be president. 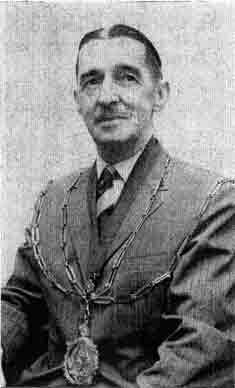 He is Glasgow and West of Scotland manager of Thomas Usher and Son. A native of Glasgow and educated at Allan Glen’s School, Mr. Young joined Steel, Coulson and Co., taking charge of the dispatch department at the firm’s Greenhead Brewery in Glasgow. In 1944 he was appointed bulk beer representative and was afterwards promoted to the position of sales manager, continuing in this capacity when Steel, Coulson’s were taken over by Vaux Breweries, Ltd., in 1957. In 1962, when Thomas Usher and Son were taken over by Vaux and merged with Steel, Coulson’s as Usher’s Brewery, Ltd., he was appointed Glasgow and West of Scotland manager of the new organisation, a position he has since retained. The principal speaker will be Mr. Paul D. Nicholson, C.A., joint managing director of Vaux Breweries, Ltd., who will propose the toast of “Our Institution”. The president’s toast, “Sport and Our Industry”, will be proposed by Mr. Cliff Hanley, journalist and broadcaster, and, responding, will be Mr. J. Kenneth Hutchison, C.A., chief executive, the Scottish Sports Council. Mr. Leslie B. C. Hodge, sales director, William Grant and Sons, Ltd., will propose the toast of “Our Guests” and this will be replied to by Sir James W. MacFarlane, ex-convener, the County of Renfrew.